Alto.io launches today. A decentralized platform that gives game developers access to a suite of tools to conveniently create, sell, and trade cryptoitems on the blockchain. Global blockchain gaming solution provider Alto.io announces its official launch today. Alto.io is a decentralized platform that provides blockchain-based solutions to game developers, empowering them to create, fund, and monetize their games. Alto’s tools include proprietary Item and Store Builders that enable developers to mint and sell non-fungible, fully tradable cryptoitems to players as Initial Item Offerings (IIO). This crowdfunding platform will give developers the means to pre-sell their virtual items ahead of the actual game. It increases their likelihood of securing funding and engages an early user base, creating value beyond their game’s economy from day one. With its entrance into the world of blockchain, Alto is thrilled to announce its partnership with Southeast Asia’s premier mobile game development company Altitude Games. Leveraging on each other’s expertise, Alto and Altitude will work together in bringing Altitude’s first ever Initial Item Offering through the Alto platform. Alto is founded by Altitude Games’ CEO Gabby Dizon and Technical Director Paul Gadi, both Manila-based veterans of the gaming industry, along with Chase Freo, former CMO of Reality Squared Games (R2Games), a global games publisher based in Shenzhen, China. Dizon and Gadi serve as Alto’s Chairman and CTO, respectively, while Freo takes the helm as Alto’s CEO. Alto’s advisory board includes notable startup and game industry figures: Paul Bragiel, Founding Partner of Golden Gate Ventures; Benjamin Chen, Co-Founder and Vice President of R2 Games; Nix Nolledo, Chairman and CEO of Xurpas; and John Nahm, Managing Partner of Strong Ventures. 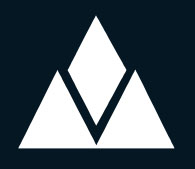 Alto is a decentralized platform that gives game developers access to a suite of tools and products to conveniently create, sell, and trade cryptoitems on the blockchain. Alto was established in February 2018 by game development veterans in China and Southeast Asia. To learn more about Alto, please visit https://alto.io. Alto is supported by Altitude Games, the game company behind Dream Defense (Android Excellence awardee), Zodiac Pop!, and Run Run Super V. Altitude was established in March 2014 by veterans of the Southeast Asian game industry. For more information, please visit http://www.altitude-games.com.